I intend to add to this post with issues I have as I build, fixes for those issues, and whatever else happens throughout the process, so I'll get to it! So far I've checked through my kit to make sure I've got everything, and found that I didn't get the dual extruder parts that I ordered. I wasn't exactly sure what all was missing since my kit didn't contain a checklist, but after watching the unboxing video that Beowulf posted I saw that he had an unlabeled package in his kit that contained all or most of the dual extruder parts, and that's what I am missing! I've emailed Folger Tech about the missing parts and expect they'll get back with me soon. I've also removed the protective film off of an sanded all edges of the routered parts so I don't have to keep stopping to clean parts up. I still have the smaller parts in the ziplock to do, but I'll get to those soon. 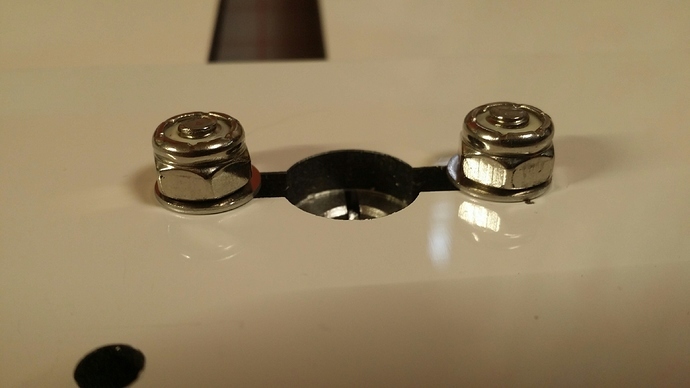 Anyone else get SHCS (socket head cap screw) hardware in place of the Button head screws for the rod holders? The head on the M4x20 SHCS has an even smaller diameter than the button head screws which makes it to where you really have to use a washer, but the screw isn't going to be long enough to engage the Nylon in the Nyloc nut with the washer requirement (also no washers included). Just curious if anyone else is working around this some other way. I'll ask them what is going on. I'll let you know what they say. What exactly is the issue this is causing? They must have ran out of the pan heads. Ok, we see the issue. @3Dprintologist, send them an email and they will take care of it. The packer is told to use the other head type when running out of the preferred one. It was not apparent at the time that in this case it could cause an issue. It has now been noted not to substitute these. I appreciate you reporting this. sides and still engage the lock-nut fully. The extra length will not be an issue as there is plenty of space above and below these fasteners. The reason the holes are enlarged is for alignment. I didn't think they were needed as the printer was designed in CAD and everything should be pretty close to perfectly aligned out of the box.Please let me know how it goes. I understand the need for some slop in order for adjustment purposes, but (IMO) the SHCS isn't a good screw for the ACM panel, especially if a the SF8 has to be moved off center in order to achieve proper alignment. 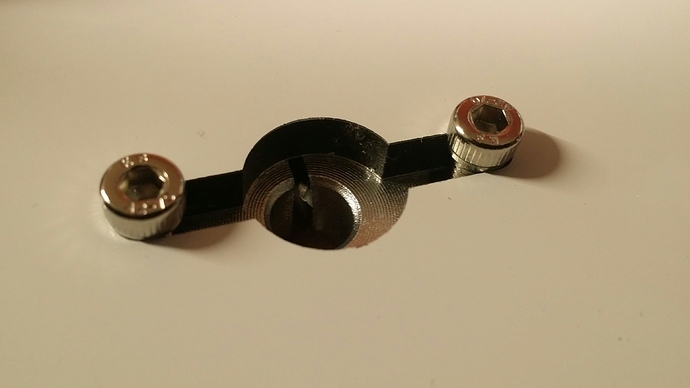 I know it can work as is, but it'd really likely require that the screw would need to dig into the ACM and could prevent proper alignment. My personal preference is that a washer be used to provide additional surface area that exceeds the width of the slot. I decided to buy new hardware so I can move on and get all 8 of the SHF8'smounted. I have the bolts going the opposite direction from how the instructions suggest. 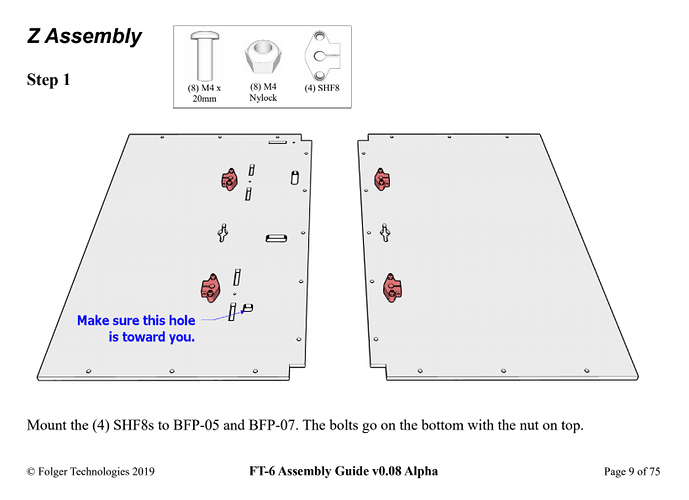 I have the bolt head against the SHF8 with the washer and nut against the ACM. I am not real sure why the instructions indicate a direction at all other than it may have been proven easier to make adjustments, but if you know of a more critical reason for this please let me know and I'll find different bolts. I've provided some pictures to illustrate what I've done. 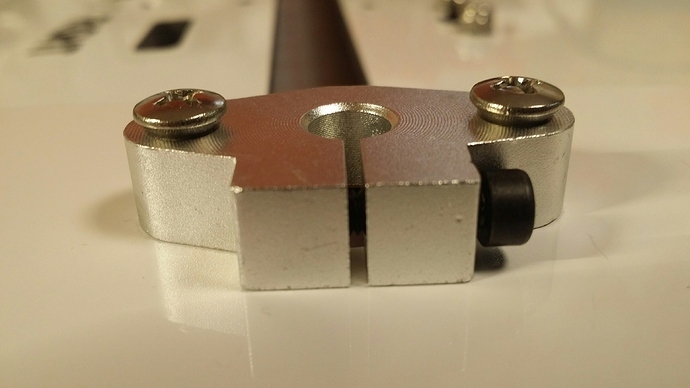 The guide suggest that the screws mount against the ACM like this picture shows. I have my new washers and nuts mounted on the ACM side. Of course the button head screws would likely be more appropriate than the SHCS I received so when I may swap these out for those when I receive my replacements. As I said above, it was substituted as in prior kits it did not cause an issue. They will not be substituted again in this case. My prototype was designed with very little slop as it was modeled in CAD and I was very confident everything would line up. Somewhere between my file submissions and the final product, they got enlarged. Thanks for addressing the issue. I really don't mean to sound like I'm nagging. I work in manufacturing, and hardware issues and geometry changes are a big part of my daily life. There really isn't anything bothering me about my experience so far. It's going to be a slow build, but I believe it to be worth the time and effort. I can imagine how super busy you and the Folger team are with the release of the FT-6 and everything else on the table. I'm just trying to get mine built and figured it wouldn't hurt to show an alternative.